If you are an old YoVille player, this is big news for you. 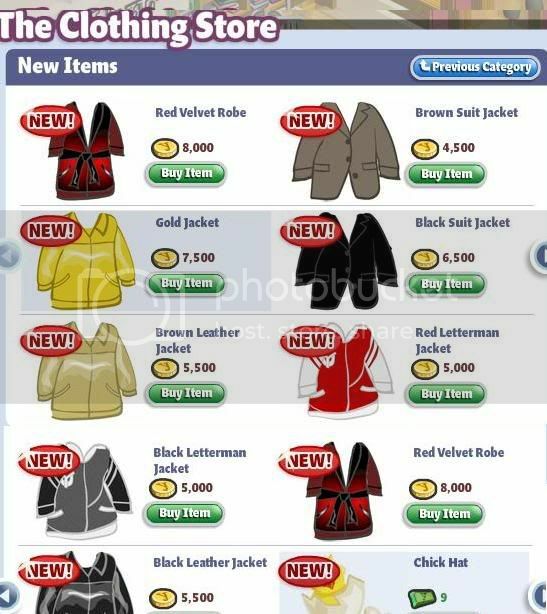 The velvet robe is now available at the clothing boutique along with seven cool jackets. These items appeared last year at the Furniture Store with a VIP label on them. The VIP Robe was on sale for few hours before it disappeared from the store and of course it became a mega rare. The jackets were not sold, however, many hackers managed to grab some and sell them for high prices. No, this does not mean that VIP is coming soon as the mentioned items are not labeled with VIP anymore. All new items are on sale for coins. This article originally appeared on YoVille Lounge.